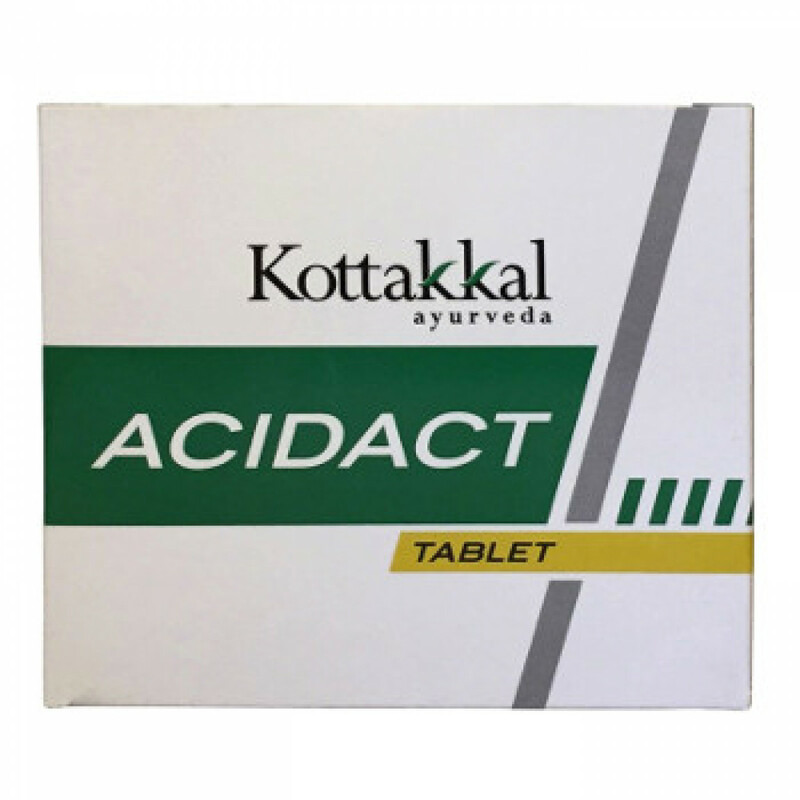 Acidact is an effective medicine for the treatment of gastritis and peptic ulcer. This medicine regulates the secretion of stomach acid, improves digestion and eliminates constipation. Acidact is also effective in high acidity and heartburn. This medicine was developed by the company Arya Vaidya Shala on the basis of the classical formulas of the Kerala school of Ayurveda. Indications: peptic ulcer, gastritis, heartburn, increased acidity. Content: Pushkaramula, Erandamula, Yavam, Dhanwayashamula. The medicine contains preservatives Sodium methyl paraben, Sodium propyl paraben. Dosage: 2 tablets 2-3 times a day or as prescribed by an Ayurvedic doctor.